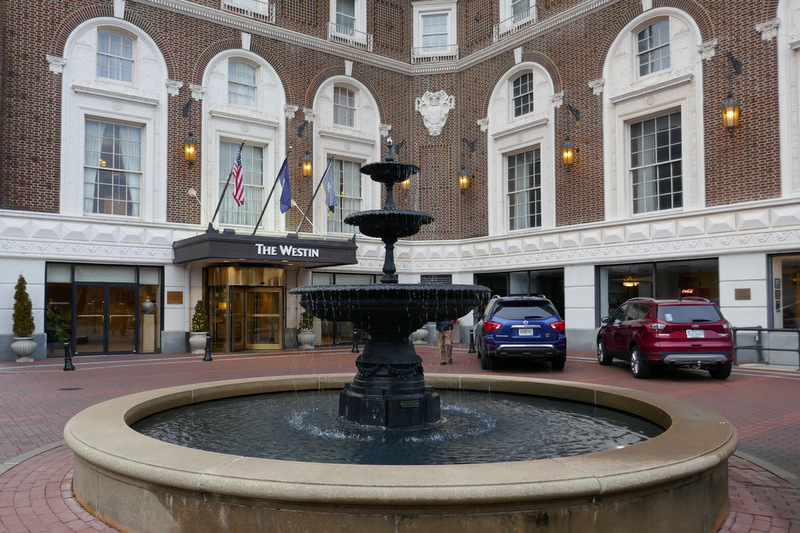 The entrance to the historic Westin Poinsett hotel. 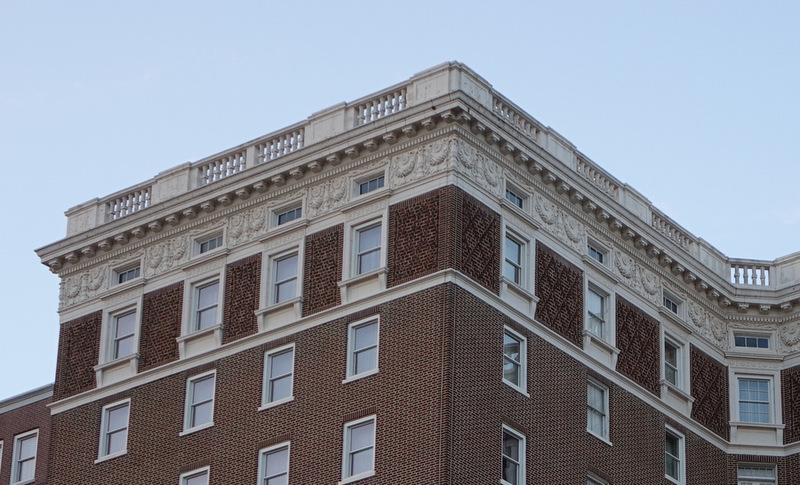 The roof line of the Westin Poinsett Hotel. 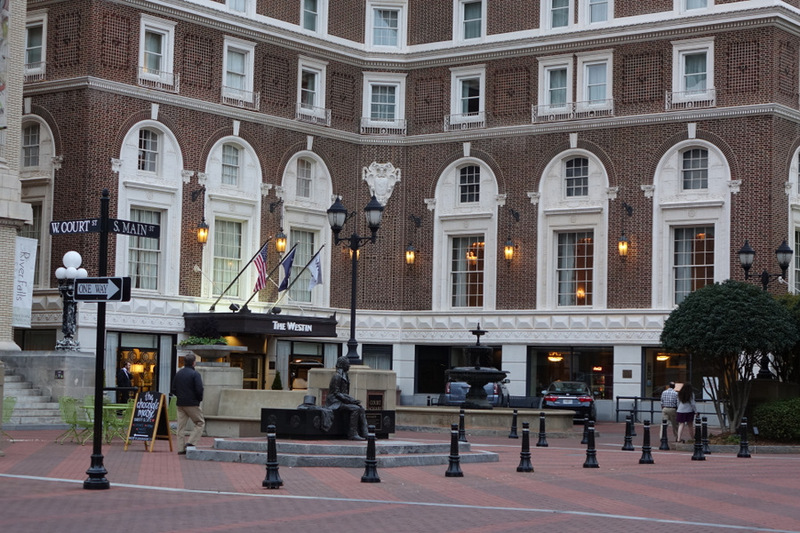 The Westin Poinsett hotel on South Main Street. The Westin Poinsett hotel had a display of a variety Ponsettia flowers for the Christmas season. Joel Poinsett introduced the Poinsettia to the United States from Mexico during his service as the first American Minister to Mexico. Fortunately it has remained a beautiful greenhouse flower instead of becoming the first invasive “Kudzu style” species. The old Poinsett Hotel sign on top of the Westin Poinsett Hotel. I was one of numerious people (six which I noticed) who took a photo as this car cruised down Main Street. I should have shared a photo of the photographers (smile). Actually I like the color in this photo but mostly I like the wheels. As a side note I understand that crusing is not legal so I assume this person was headed to a distination and not driving up and down Main Street as I did so many years ago. Personally, I think that the car and the photo have an American Graffiti feel to it. 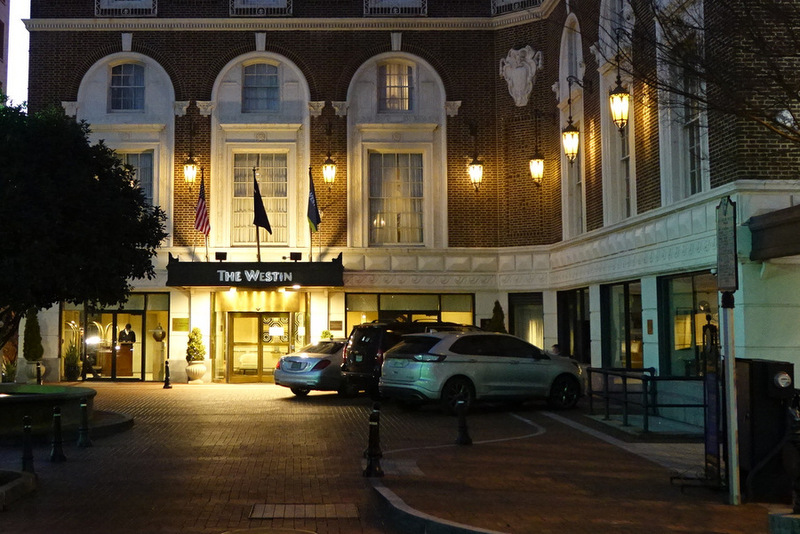 The Westin Pointsett hotel entrance courtyard at night during a brief pause between arrivals. Saturday night I took this photo .. primarily because I wanted to show the extent photographers will go to for the shoot .. I have taken photos from similar perspective, however the difference is I don’t get up as fast afterwards (smile). 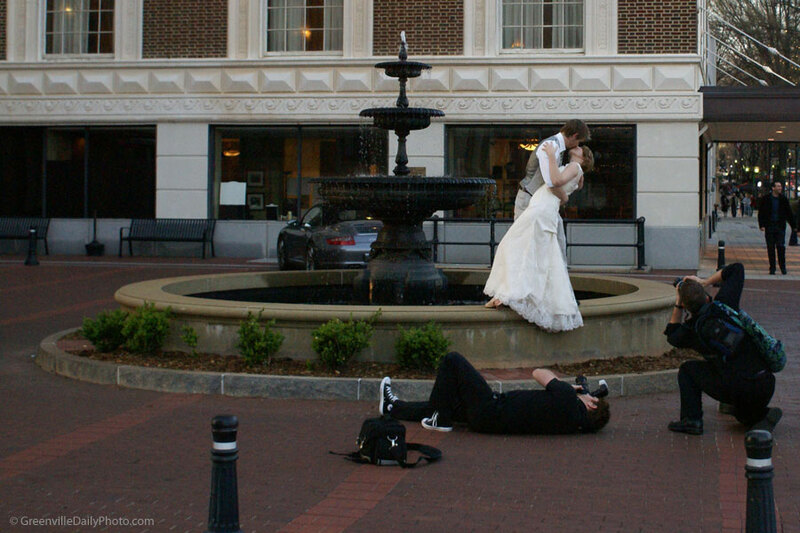 PS: Melissa, the bride, left a comment and shared a complement for her wonderful photographer Joshua Spence.